With thanks to Carin van Vuuren, Chief Marketing Officer at Usablenet via Econsultancy. Achieving success in this fast-moving digital landscape demands a new style of partnership between CIOs and CMOs, focused on driving results through comprehensive technology and customer marketing strategies. The rise of smartphones and tablets has ushered in a huge shift in how consumers engage with brands. These changes have fundamentally altered the path to purchase, which used to be a linear process, into a much broader mix of browsing and discovery, with social recommendations and easier access to information driving the online buying process. Most notably, this shift is changing the way IT and Marketing, two divisions that have often worked in silos, must operate in response. Underscoring the importance of these changes, Gartner recently reported that future ecommerce success depends on improving the customer experience, with top CIOs now ranking it as the largest opportunity to implement technology in driving business innovation. While the business relationship between marketing and IT is not new, achieving an elevated standard in collaboration and partnership in four key performance areas will be essential to digital business success moving forward. The rise of mobile has fundamentally changed the way people access the web, and today nearly 40% of time spent on the internet comes from mobile devices. Consumer adoption of smartphones and tablets demonstrate that “mobile first” is fast becoming the new normal, putting pressure on traditional definitions of channels, technology and customer service strategies. When it comes to mobile, the CMO must use digital tools to drive customer acquisition and enhance the overall experience, while IT focuses on supporting omni-channel initiatives and enabling customer service technologies to deliver agility and consistent engagement. Multichannel retailer ShopNBC is a good example of an organization that is strategically deploying mobile technology to improve the customer experience. The brand’s approach is centered on identifying how its audience wants to consume content, whether on the television, smartphone, or tablet, and technology is deployed to meet these customer needs. 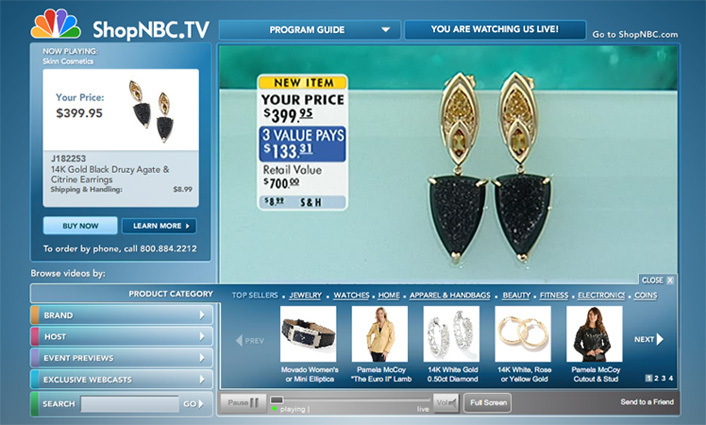 ShopNBC further customizes the mobile experience through personalized messages based on the user’s preferences, and the technology infrastructure that powers the experience enables users to watch live TV via the mobile web. Smart partnership in mobility requires more than just a cross-channel approach to the customer experience; it also requires a shift in how technology is evaluated. By adopting a “user-first” mindset, businesses have a great opportunity to make technology infrastructure investments that are not constrained by inside-out thinking, but rather empower the organization to pursue competitive advantages by elevating the customer experience. Providing a stark example of the challenges companies must confront, over 60% of retail CIOs report that business objectives for mobile initiatives are unclear and 40% cite a lack of experience in relevant areas. The CIO needs a scalable mobile strategy that clearly defines how an enterprise technology platform can support seamless customer experiences. By focusing on providing web services and API’s quickly, for example, IT can make it possible for Marketing to create omni-channel solutions that do not adversely affect existing technology infrastructure. Further, IT leaders need to consider expanding (or even revamping) technology infrastructure to meet the demands of seamless customer engagement. The ability of the enterprise to be agile and leverage efforts across multiple channels is often constrained by long implementation timeframes, the complications of legacy systems, and by the fact that new technologies and services are constantly emerging. Home improvement giant Lowe’s is a strong example of a brand that is turning to a progressive IT strategy. This year, the retailer plans to use insights and market analytics to generate consumer-based product assortments that optimize the shopping experience. To accomplish this, Lowe’s has decided to allocate a whopping $550 million per year to IT spending. As today’s digital marketers know, customers do not interact with companies from a channel perspective; instead they connect on whatever device or screen they happen to be using at the time. Forrester calls this agile commerce. To meet customer expectations for seamless experiences, businesses must develop omni-channel strategies. When thinking omni-channel, it is important to recognize that all channels have the potential to introduce different requirements and constraints. Mobile, for example, is better suited for simplified experiences and browsing, rather than entering detailed personal information. Similarly, large touchscreens are ideal for browsing and viewing, but lack the interface or security needed for an effective check-out experience. Gathering and analyzing data within and across channels adds another layer of complexity. British retailer Marks and Spencer is a noteworthy example of a company that has taken its omni-channel efforts to new heights. To provide a truly channel-agnostic shopping experience for its customers, the company is equipping stores with Wi-Fi and investing in a robust mobile web and app presence that is connected to the in-store experience. 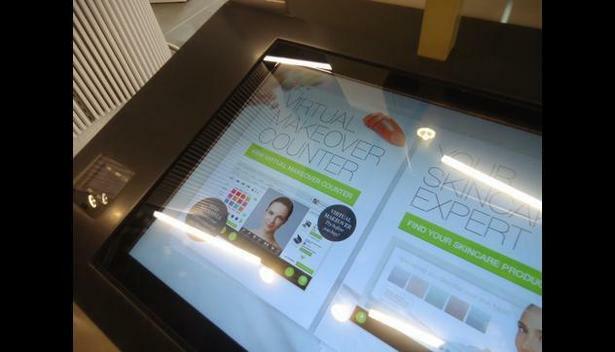 M&S sales assistants carry tablet devices, and interactive, touch-screen kiosks are placed throughout stores to engage shoppers and make customer service easier. All channels are connected, enabling customers to start their journey on any channel and complete it on another, creating seamless experiences that increase convenience and engagement. With both IT and Marketing working in tandem to meet defined business goals, Marks and Spencer is seeing tremendous success through its commitment to facilitating a seamless omni-channel journey for the customer. In fact, the company is on track to meet its goal of increasing multichannel sales by £300m to £500m next year. As every marketer will tell you, the ability to effectively harness put analytics into practice delivers competitive advantage. Most companies have effective data storage systems in place, but the key to future success lies in the ability to harvest insight from data that can be turned into more effective sales and marketing actions. In an era of social media and user-generated content, social technologies and sentiment analytics increase the brand’s ability to track and respond in real-time. As mobile usage continues to surge, the onus is placed on both IT and Marketing to acquire better data and convert it into deeper insights – at faster speeds – in order to support and steer new marketing efforts to drive sales. To support the omni-channel business, analytics need to track complete user journeys within individual channels, while analysis should be conducted to bring insight into what drives conversion and how revenue is created across multiple channels. Specialty teen retailer Aeropostale is a strong example of an organization that is putting data to use to improve every aspect of the customer experience. The company has taken a test and learn approach across its digital channels and is constantly refining the customer experience on its mobile site, apps, and in-store tablet kiosks. In addition, the brand pays keen attention to what its users are saying about the customer experience, and refines its digital products based on these insights. Delivering a differentiated customer experience across all channels requires a new level of alignment and collaboration between IT and Marketing as owners and enablers of the customer lifecycle. Through advanced collaboration between these internal stakeholders, businesses can ensure that their investments in technology and marketing will deliver customer experiences that drive brand and business results.